Thanks folks for all the comments. Yeah, I can't wait to drive her. Three months ain't bad for the full rebuild, but I was counting the days!!!! I'll keep all of you posted once I have a chance to spend some quality seat time and will definately update with pics when the truck arrives. What did they do to the motor? Turbo R upgrade includes - ECU tuning, turbos, aux oil cooler, cams, sport cats, full service and a few other tid bits. So this is their 590hp package I supposed. Awesome man! I can't wait to hear a full report after you get some seat time. Vince. I wish my man. Don't quote me on this, but I believe the only 993's that broke the 500hp barrier were the VIN CTR2 cars. Those had a completely different set up with custom intercoolers etc , etc. RUF only offers one conversion for the 993 turbo, which is the turboR package. This is the one that was done to the car. Conservative RUF estimates are 500hp/500lbft, but everyone tells me it's closer to 520. There are other tuners that can squeeze out more hp and big numbers can obviously be acheived with a 3.8 twin plug conversion, etc. but I figured my car will never be the fastest. Just wanted the reliability, pedigree of RUF and enough juice to at least run with some of the newer cars - zo6, 997tt, f430, gallardo, etc. You have done everything right to a 993TT. More importantly you had made everyone of us 993TT owners proud to own such a fine gem. PS.Can you PM the price the Ruf brakes conversion.Thanks bud. Where are you in the Bay Area? 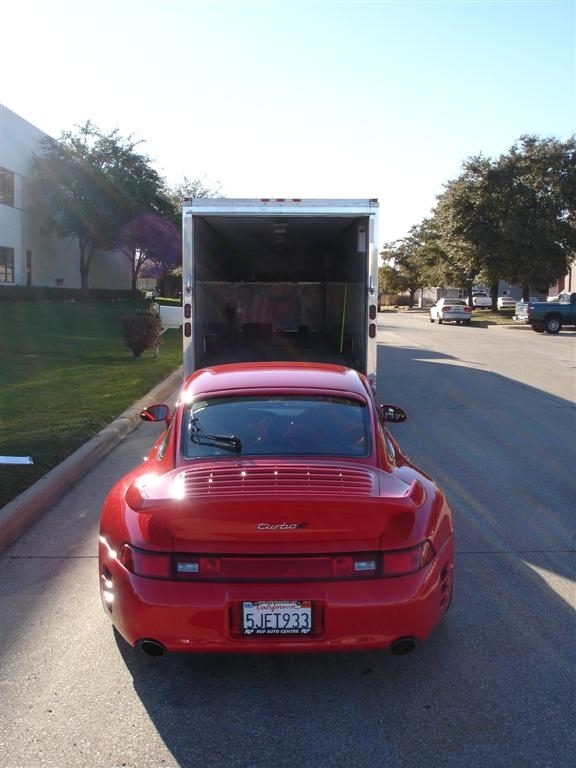 I have a 993 Ruf BTR and would love to get together when your car arrives. I'm in Los Altos. In fact, timing is unfortunate. We are driving our Rufs out to Dallas for a Ruf car gathering in 3 weeks. We will be in Austin on Friday 3-21-2008, do the Texas Hill Country Drive on Saturday 3-23-08, and hang at Ruf with other Ruf owners on Sunday, 3-23-2008. If your car is there for a few more weeks, we can drive out there together and you drive yours home after the event. Last edited by chunpng; 02-27-2008 at 07:27 PM. i have to go clean myself up now... my god that is gorgeous.